On July 11, 2018, the government of Argentina took its first action against Hezbollah by freezing the financial assets of 14 individuals belonging to the Barakat clan in South America. Last week, Brazilian Federal Police arrested the leader of this clan, Assad Ahmad Barakat, who was sanctioned by U.S. Treasury's Office of Foreign Assets Control (OFAC) in 2004 and is considered one of Hezbollah's most important financiers. These recent actions against Hezbollah in Latin America signal a shift in the priorities of regional governments, with Washington's help. 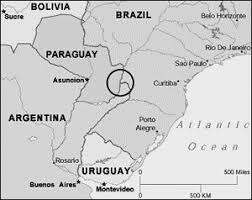 Hezbollah's presence in a sub-region of South America known as the Tri-Border Area (TBA), at the crossroads of Brazil, Argentina, and Paraguay, long has been known to regional authorities, but recently factors have prompted action. One element was the June 2017 extradition from Ciudad Del Este to Miami of Lebanese-Paraguayan Ali Issa Chamas, for shipping cocaine through U.S. ports and airports. Many circumstances contribute to a high-level extradition but, fundamentally, both nations need the political will to carry out this type of operation. The Obama administration repeatedly failed to extradite Hezbollah operatives when given the opportunity. For example, Obama's Department of Justice and State Department failed in 2011 to bring Syrian-Venezuelan drug trafficker Walid Makled to the United States after he provided significant evidence of Hezbollah's ties to Venezuelan officials shipping drugs to Europe and America. And, in 2016, Ali Fayad, a Lebanese-Ukrainian arms dealer charged in a New York court with "conspiracy to kill officers and employees of the United States," was released from prison in the Czech Republic and returned to Lebanon. In a bombshell article last year, Politico accused the Obama administration of turning a blind eye to Hezbollah's illicit activities in favor of the nuclear deal with Iran, though members of Obama's administration vehemently deny this was the case. President Trump is sending a different message to South America regarding Hezbollah, with results beginning to show. Regional governments have started cracking down on Hezbollah's criminal activity, namely in illicit financing. Argentina's recent financial freeze affecting Barakat members is an official acknowledgment by the Argentine government that Hezbollah is a terrorist organization. Since Argentina does not yet have a legal mechanism to designate Hezbollah as such, its Financial Intelligence Unit (UIF) used the terror-financing prevention framework within its anti-terrorism law to issue the sanctions. This led to subsequent raids this past summer of casinos, hotels and money-exchange houses in the TBA that led to the capture of Assad Ahmad Barakat in Brazil. To stay ahead of the problem, Attorney General Jeff Sessions established the Hezbollah Financing Narcoterrorism Team (HFNT) in January 2018, led by veteran prosecutor John Cronan at the Department of Justice. This interagency task force, entrusted with combating Hezbollah's terror finance, is focused not just on prosecuting Hezbollah operatives both in the United States and, with the cooperation of regional prosecutors and law enforcement agencies, in Latin American countries. With President Trump's election and the establishment of the HFNT, there is a noticeable difference in Latin American governments' attitudes toward Hezbollah. In the weeks prior to Barakat's arrest, several U.S. experts were invited by local authorities to take part in a conference on the crime-terror convergence in the TBA organized by the Department of Justice and U.S. Embassy. Similar seminars were held in recent months in Panama, Peru, and Colombia, some of them sponsored by the Department of Defense in cooperation with local counterparts. Latin America is paying attention to the whole-of-government approach that has formed in Washington. There is still much more to do to curb Hezbollah's crime-terror activities, and action by our regional partners is critical to success. The recent arrest of Barakat demonstrates that Latin America indeed is ready to act if given political and technical support. President Trump would be wise to capitalize on this momentum and prioritize Latin America in our global counterterrorism efforts. Joseph M. Humire is the executive director of the Center for a Secure Free Society and a fellow at the Middle East Forum. He is the co-editor of "Iran's Strategic Penetration of Latin America" (Lexington Books).